A website is a work of modern art, science and a whole lot of math. Whatever script or images appear on the web pages take much more effort than you can imagine. That is the reason why you should not take the job in your own hands. Hiring an expert website developer and designer can cost you some money, but it will pay back for sure. If you are planning to build a website for business, blog or portfolio, consult Innovative Designers for high performing websites. What are the two main building blocks for website development? Think of a website as a building. You need bricks and cement to build a structure. So in case of a website, HTML is the structure. Once the building is complete, the next step towards completion is beautification. This is where CSS walks in. Turning back to the example of building construction, now the building structure is standing but to finish the look, the walls need paint and other decorations. CSS is the paint and décor. With some super easy-to-use web design and development software in the market, website designing has become a little less complicated than how it was a decade ago. But that fancy software is the tools of sophisticated web designers who understand the grinding going on at the backend. Besides this software, experience matters a lot. Innovative Designers are the expert of website designing. They know their job like the back of their hand. A grid is a pattern in which the text and images show on your website. There are numerous grid systems out on the web. You can use any one of them or may be more than one on your website design. I will explain it in simpler words. A grid is the arrangement of columns and rows. It determines how we will read the text and images on the web page. If you are overly creative and like to customize, then you can create your grid system. That would be interesting! It is common knowledge that the web page should be such that it makes scanning easier for the reader. It needs little understanding, and some experience would have you nail it. Placing the links which you want your readers to notice right on top of where they are easily seen. It is mostly information like contact details, social media links, etc. The Serif font is reserved for headlines, hands down. If you use it on regular text on the website design, then there will surely be a drop in your traffic. Why? Because in non-headings, Serif is hard to read. Using too many fonts on a website will make it look busier than it should. Remember, simplicity is the key. You can use at most three different fonts but no more. If you want a Good Website. Paint it pretty! The color swatches you choose should make your website look beautiful. But I cannot emphasize enough on the point that “keep it simple.”Too many colors will make your website look like a paint palate. Use small size but clear images because of more significient the size, slower the website. Google takes copyrights seriously. So, use only the images which you are allowed to use. Static images do the job quite well. But if you like those flashy moving ones use them smartly. Too much movement will annoy your reader. Although there is plenty more website design wisdom which needs your attention these points sit at the core. 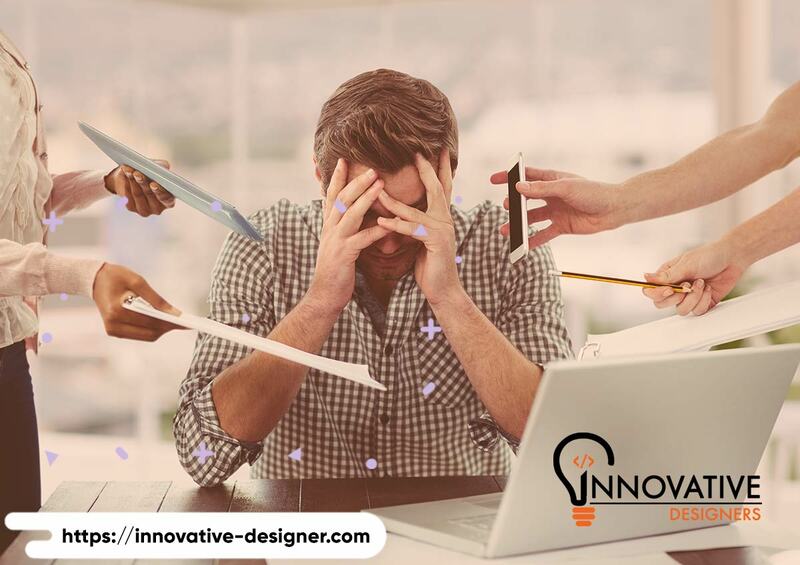 If you want an Affordable web design, try getting in touch with Innovative Designers.